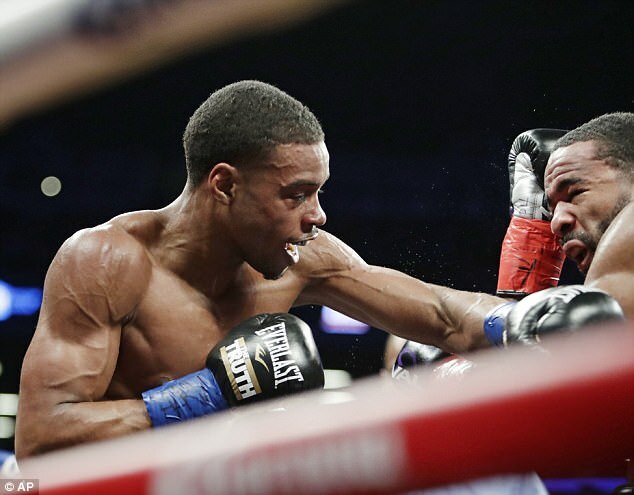 Errol Spence Jnr was even more dazzling in defending his title than he was while winning it. 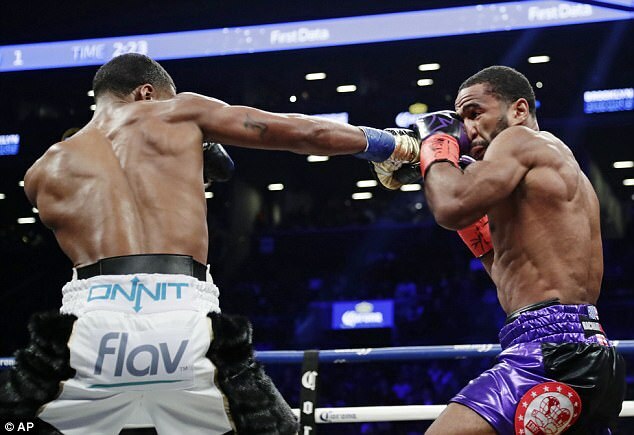 Spence battered Lamont Peterson until the fight was stopped a second into the eighth round Saturday night in the first defense of the welterweight title he won last year. Spence had controlled the fight and both of Peterson’s eyes appeared swollen as doctors checked him after the seventh round. The bell rang to start the eighth, and Peterson moved toward the center of the ring before his corner told the referee to call it. 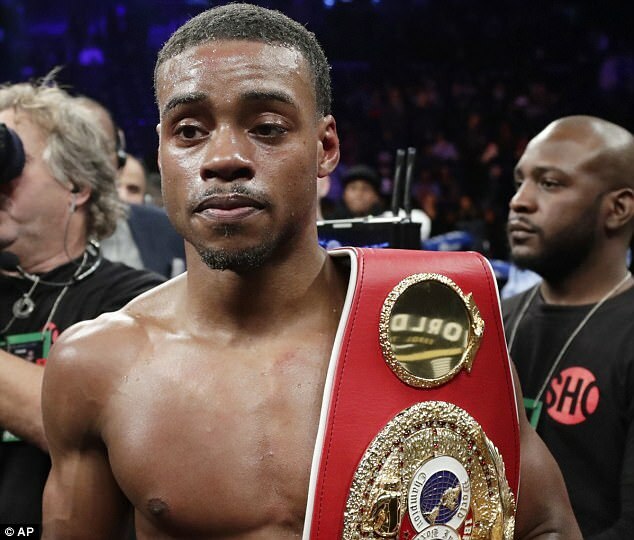 Spence (23-0, 20 KOs) pitched a shutout in his first attempt defending the IBF 147-pound crown he won last May when he went to Sheffield and stopped Kell Brook in his hometown, breaking the champion’s orbital bone and knocking him down in the 10th round before Brook went to a knee in the 11th and the fight was stopped. 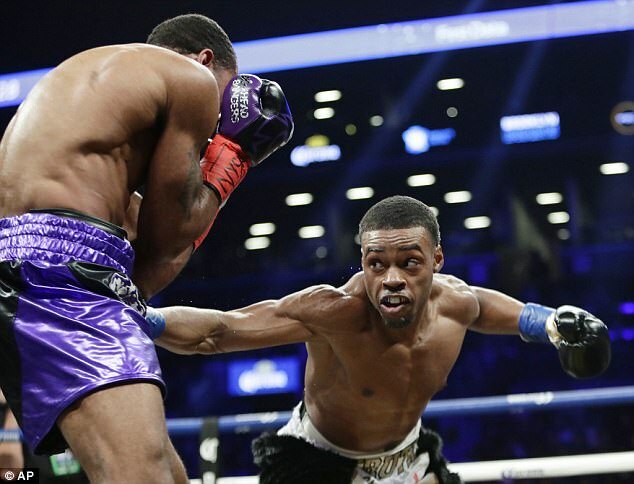 Spence won every round on all three scorecards in a performance that easily backed up the accolades he earned in his title-winning victory. He knocked Peterson (35-4-1) down in the fifth and hurt him in many other rounds, ripping punches into his ribs to set up hard shots to the head. Spence landed more punches (161) than Peterson threw (158) according to final CompuBox stats and connected with over 100 more power punches – landing 35 alone in the fifth round. Spence confidently threw his jab to get warmed up in the first, and then hurt Peterson with a body shot along the ropes in the second. They traded hard shots in the third with Spence continuing to go to the body and Peterson getting him upstairs. The 2012 US Olympian knocked Peterson down in the fifth when a right hand set up a solid left to the head. Peterson fought back gamely later in the round, easily the best one of the fight, but his right eye was closing by the sixth, making it even harder to stop the punches that had been pummeling him. ‘He was getting the shots on me early. He was the better man tonight,’ Peterson said. He wanted to keep going but trainer Barry Hunter decided otherwise. 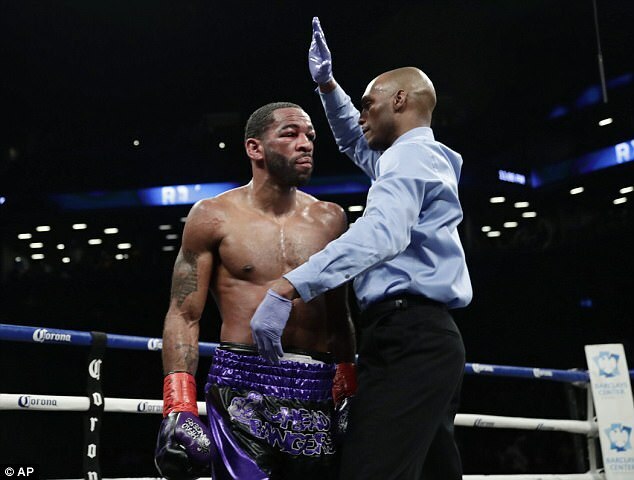 Peterson, a 33-year-old former champion at 140 and 147 pounds, hoped a victory could get him into the mix for a couple more big fights to help further a boxing Hall of Fame case that he acknowledged this week isn’t strong enough. But he was in against a fighter who’s already regarded as one of boxing’s best and eager to keep proving it. 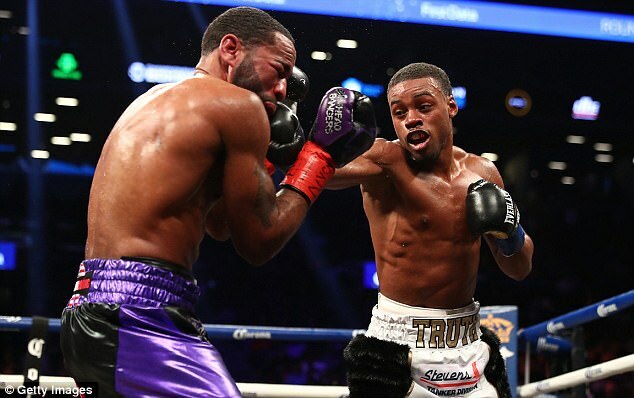 Spence again called for a match against Keith Thurman, who holds two welterweight titles.